I think I mentioned before that I'm not really crafty, but I really want to be. I went to Jo-Ann Fabrics the other day to look at fabrics for my dining room chair upholstery project inspired by this Pin on Pinterest (originally created by craftaholicsanonymous.net). Walking through the fabric aisles, I felt like everyone was staring at me (they weren't, of course) - but I felt like they knew I didn't belong there. Heck, I don't even own a sewing machine yet (Shhh!). I found myself looking at some cool printed fabrics to discover "oops" those are quilting fabrics or "oops" those are outdoor canvas fabrics. 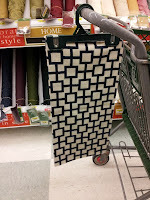 I finally made my way to the multi-purpose fabrics where they were rolled up in yards at the back of the store. 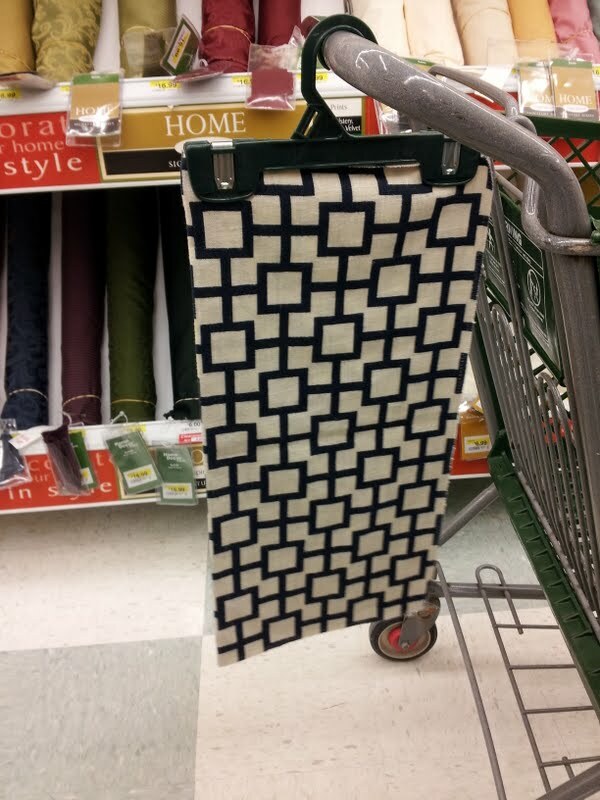 Was I supposed to carry that big roll to the fabric cutter? Do they come and get it? These are some of the things going through my mind as I'm staring at these big rolls. I know, I'm pitiful. Just ask someone, right. Not me. I decide to avoid the big rolls altogether and look at the special order fabrics instead. Those are lined up in nice, neat little samples. I find one that I like. This one here. It's a bit expensive, but I haven't seen anything else. I could go to customer service and place my order for it there. But, no. What do I do? I take a picture of it with my cell phone and decide to go home and order it online. Baby steps. Haha!! I've done the same thing with my cell!